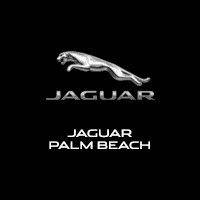 Those in search of a Jaguar dealer in Fort Lauderdale, Boca Raton, Delray Beach and Miami area, don’t need to look any further than Jaguar Palm Beach, of West Palm Beach. Here at our Jaguar dealership, we have a wide selection of vehicles to choose from, and a team of specialists who have the knowledge and expertise to assist you throughout your car buying experience. Some drivers step into our West Palm Beach, Florida showroom ready to take the new Jaguar E-PACE they’ve scheduled for a test drive. Others are eager to get behind the wheel of the Jaguar F-TYPE. Some drivers are ready to request a quote, while others are starting their search for a new Jaguar in the Boca Raton, Fort Lauderdale, Delray Beach, and Miami area. Regardless of where you are in the process, we encourage you to explore every new car we offer at Jaguar Palm Beach. Remember to familiarize yourself with the Jaguar XF and Jaguar XE, and the Jaguar XJ Excited to see our impressive line-up and learn about the new models that will be coming soon? If a new car isn’t what you had in mind, then why not take a look at our wide variety of used Jaguar and other vehicles? Every one of them a gem, a complex story of previous ownership, with personality emanating from every line and curve. If you’re planning on trading in your current vehicle, value your trade-in online and then speak to someone on our skilled financial team. They will help you secure a loan or lease when you’re ready to take the next step towards purchasing your new Jaguar in the Miami area. If you can already picture the XF, XJ, F-TYPE, F-PACE or XE in your driveway, remember you can always ask Jaguar Palm Beach for help to make your dream a reality. After you’ve taken your favorite Jaguar your financing team is prepared to explain your car loan and lease options in detail after you’ve gone for a test drive. That way, you can know exactly what it will cost to get back behind the wheel and cruise the streets of Boca Raton, Fort Lauderdale, Delray Beach, and Miami in style. Of course, Jaguar Palm Beach realizes that the sale is only the beginning of your experience with your automobile. For that reason, we offer professional car service and repair here in West Palm Beach. For everything from simple oil changes to full replacements of Jaguar parts, our friendly auto experts will service your vehicle with a smile. If you’re trying to find a new 2018 Jaguar in Boca Raton, Fort Lauderdale, Delray Beach, or Miami, visit Jaguar Palm Beach with all of your automotive needs. Call us at (866) 296-7709 with all your questions. Whether a new or used car is in order, or a little maintenance is required, visit us at 915 S Dixie Hwy West Palm Beach, Florida and we’d be happy to help! Write a review. Had an amazing experience with Palm Beach Jaguar. It was my first ever Jaguar. From start to finish Don Cody was amazing. He was so patient and helpful with everything. Showing me the features and benefits of my new F-Pace was also very pleasurable. I'm not a spring chicken by any means so he really did an amazing job training this old lady:/ I am sure I will be sending Palm Beach Jaguar and Don Cody so business. 5th car purchased through Jaguar Palm Beach. Don, Shawn and Britt were wonderful. They are beyond professional. No hassle car purchase. Very polite. Extremely helpful. Would recommend them whole heartily. Susan Fox is great she is efficient professional and pleasant to deal with. I enjoy coming to jaguar because of Susan Fox and will recommend her and jaguar to friends and family. Great business experience. Brian, our sales person was extremely knowledgeable and helpful throughout the process. I can say the same about Steve and Britt in Finance, who were able to resolve quickly a couple problems that came up with the numbers. Overall extremely satisfied. And we love our new car. Thank you very much ! The people at Jaguar are extremely helpful. My problem was taken care of by Dave who was very knowledgeable about my vehicle, an XFSedan. I always take my car to palm beach Jaguar because I think they are the best!